The final countdown title isn’t paying homage to the 1980’s hairband Europe and their hit single released in 1986, but instead, it is the final countdown until the current bull market in U.S. stocks (S&P 500) becomes the longest in the modern era. 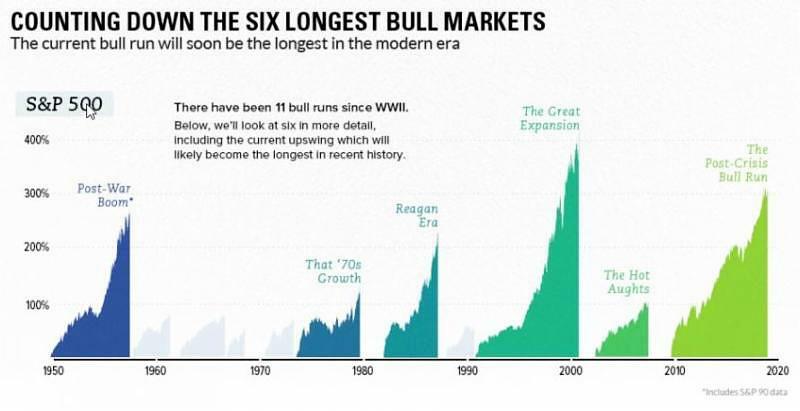 On August 22, 2018, the bull market will be 3,543 days old, and while not the largest gaining bull market of all time (The Great Expansion gained 418%), it has indeed been one for the books. Just last week, Apple became the first U.S. listed company to have a market capitalization of more than one trillion dollars. IBM was the first U.S. listed company to breach one hundred billion dollars in 1987. So naturally, after climbing for so long, the question that we have been hearing from clients is “when is the market going to turn around and go back down”. 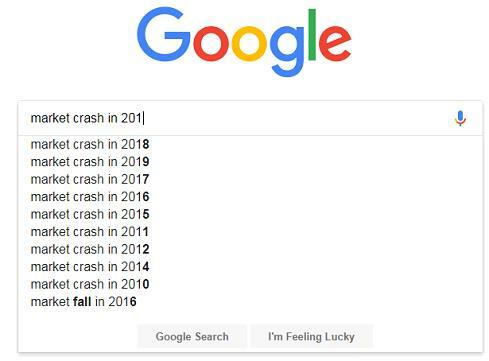 We have been asking ourselves the same question for the last few years, especially given the tremendous run in U.S. stocks since the 2016 Presidential election. Many potential catalysts could cause this market to turn around, but the most common reason that the “experts” cite is a general rise in interest rates that could cause an uptick in the default rates for borrowers, businesses and consumers alike. The other-oft cited reason is due to perceived policy actions that could potentially come from Washington like a trade war with the rest of the world. Many investors haven’t forgotten the tumultuous times of 2008-09 and have been expecting a downturn since 2011. A cursory search reveals a large number of predictions of the market going down every year. In the end, it seems as though many investors like to speculate about when the market is going to turn to save their portfolios from any potential bear market that may develop, but many studies have shown that long-term returns aren’t driven based on timing the market, but rather time in the market. Having time in the market means that eventually, investors will need to go through periods of time where returns are flat to down, but that’s not to say that we advocate investors sit on their hands and watch as the markets move around them. Instead, we support a systematic approach to rebalancing that reviews all of our clients’ portfolios on a recurring basis. This approach allows us to buy low and sell high. So rather than worrying about which direction the market will move after August 22nd, we would all be better served to focus on that which we can control in their financial lives, grab our favorite guitar and enjoy the ride. Nathan Smith is Portfolio Manager at Rather & Kittrell, and can be reached at nsmith@rkcapital.com.